Il s'agit d'une exposition qui a eu lieu à Paris et à Veynes. 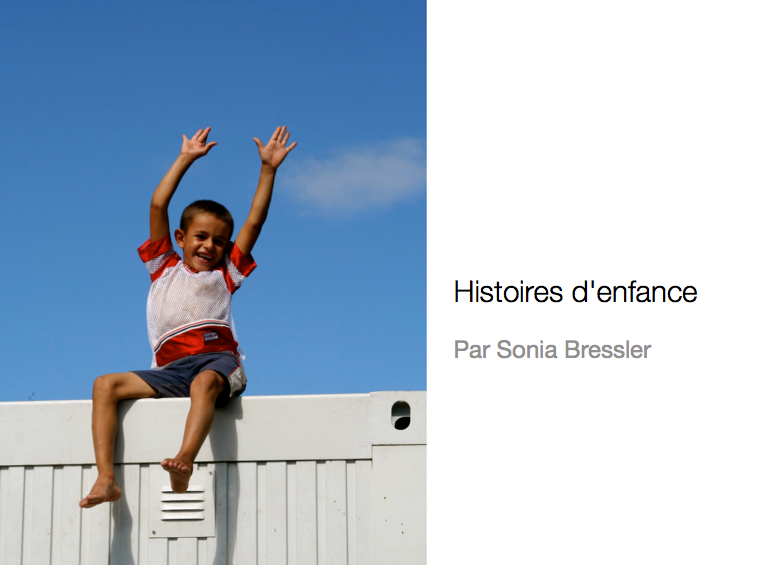 "Childhood stories" is an exhibition which took place in Paris and Veynes. This is a series of portraits. Precious moments captured during a trip in Nepal with smiles captured during my stay in Kosovo. Without misery, this staging can examine two difficult situations, far from being opposed, they complement each other and they offer a perspective on childhood and the rights to be a child.